Take this, Gov. Peter Shumlin, Sen. Patrick Leahy (D-Vt.), former governor Madeleine Kunin and Burlington Mayor Miro Weinberger, all of whom have endorsed Hillary Clinton for president. The Vermont Progressive Party and a group of Democratic state legislators are backing Bernie Sanders. The Progs, at their quarterly state committee meeting Saturday, voted nearly unanimously for a resolution singing Sanders’ praises, said Kelly Mangan, party executive director. The resolution notes that the party's positions on many issues align with Sanders' campaign platform, and urges Progressives to support Sanders. The backing is via a resolution because party bylaws don’t allow the Progressives to explicitly endorse a candidate who isn’t asking for the party’s nomination, Mangan said. But in passing the resolution, members were mindful of the fact that Sanders had been snubbed by some of the state’s highest elected officials, including those Sanders has gone out of his way to help — such as Shumlin and Weinberger, Mangan said. A group of Vermont legislators wasn’t really focused on that when members recorded short video clips touting Sanders. “We just wanted to support Bernie,” said Rep. Warren Kitzmiller (D-Montpelier). 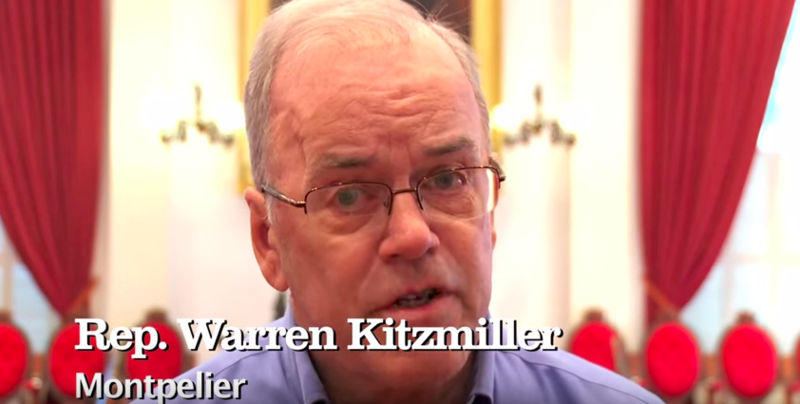 Kitzmiller was one of 19 Democratic House members who stood before the camera at the Statehouse and vouched for Sanders. The video, produced by Rep. Teo Zagar (D-Barnard), went up on YouTube on Monday.